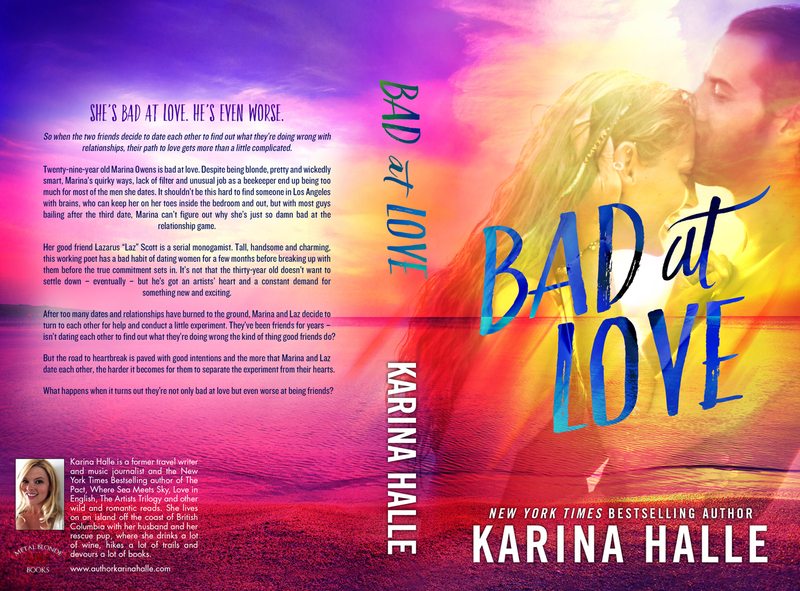 Bad at Love, an all-new contemporary STANDALONE by New York Times Bestselling author Karina Halle is coming November 16th!!! Marina is hot, blonde, and wickedly smart, but when it comes to men? She's hopeless. Between her quirks and her lack of filter, there isn't a man in Los Angeles that will stick around after the third date. Her handsome, charming friend Lazarus has the opposite problem. Everyone wants to be his girlfriend, but he gets bored and moves on quickly. There's only one way to figure out why neither of them has cracked this love thing-- they'll date each other. On paper, it's the perfect experiment. But in reality, things between Marina and Laz get complicated quickly. They might be bad at love, but they are even worse at being friends.